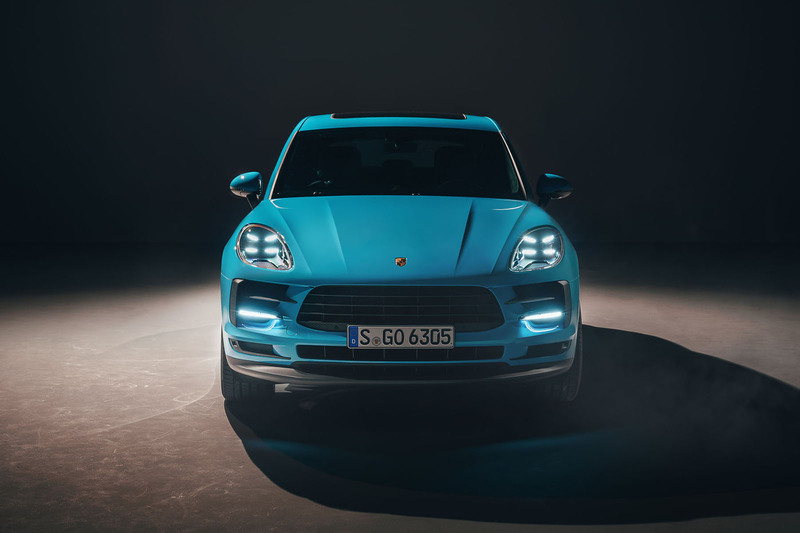 The updated Porsche Macan has made its European debut at the Paris motor show, and is available to order in the UK now, priced from £46,344. The firm has confirmed the revised Macan will launch in the UK with a 2.0-litre four-cylinder turbocharged petrol engine producing 242bhp. Powered through a seven-speed PDK dual clutch gearbox, the engine has a NEDC fuel economy rating of 34.9mpg. The model has a claimed 0-62mph time of 6.7sec and a top speed of 139mph. The new version of the Macan, which Autocar has already driven in prototype form, was initially launched in China. Autocar understands that the range will grow to feature a Macan S powered by a 335bhp 3.0-litre V6, and, at least at launch, no diesels. Porsche has recently confirmed that it will no longer offer diesel-engined versions of its models. 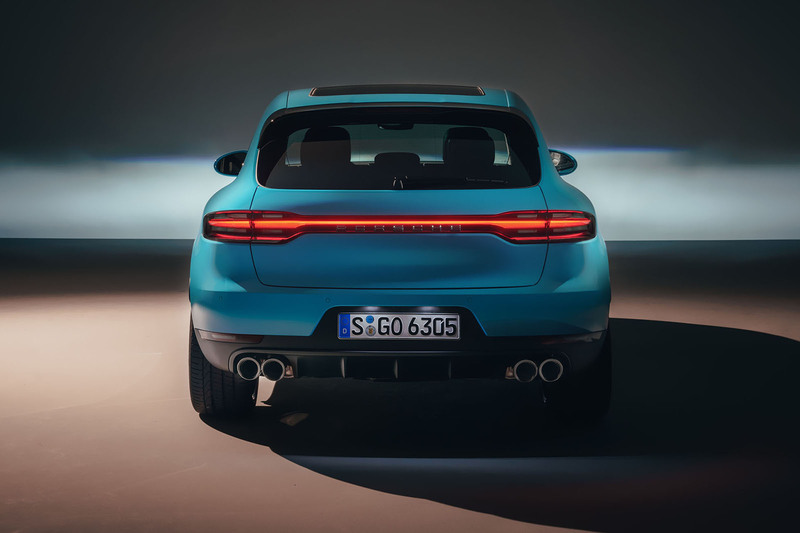 Having taken more than 350,000 sales since it was launched four years ago, the Macan is the fastest-selling Porsche model to date, but it is facing stiff competition in the premium SUV class from the Audi Q5, BMW X4, Jaguar F-Pace and Mercedes-Benz GLC Coupé. The model's facelift includes a redesigned front bumper, new LED projector headlights and a full-width LED strip between the tail-lights. A new range of 20in and 21in alloy wheels are also to be offered. Inside, there's a redesigned dashboard featuring Porsche's Communication Management system. As in other new Porsche models, this features a centre console touchscreen increased in diameter from 7.0in to 11.0in. In addition, the central air vents have been repositioned and now sit below the display. 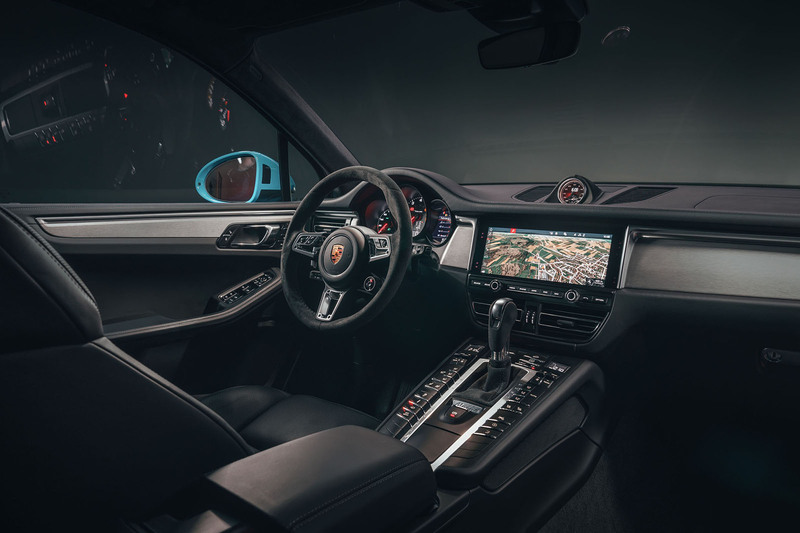 Porsche also claims enhanced connectivity for the Macan through a standard Connect Plus module, which supports real-time swarm-based traffic data sourced from Here, the mapping company partly owned by fellow Volkswagen Group brand Audi. Further changes include the availability of an optional GT sports steering wheel featuring a so-called Sport Response button. Porsche has also extended its range of driver assistance systems to include a new Traffic Jam Assist function as standard. This uses adaptive cruise control and lane-keeping assistance to enable partially autonomous driving capability at speeds up to 37mph. Further up the engine range, the changes are set to be more significant. 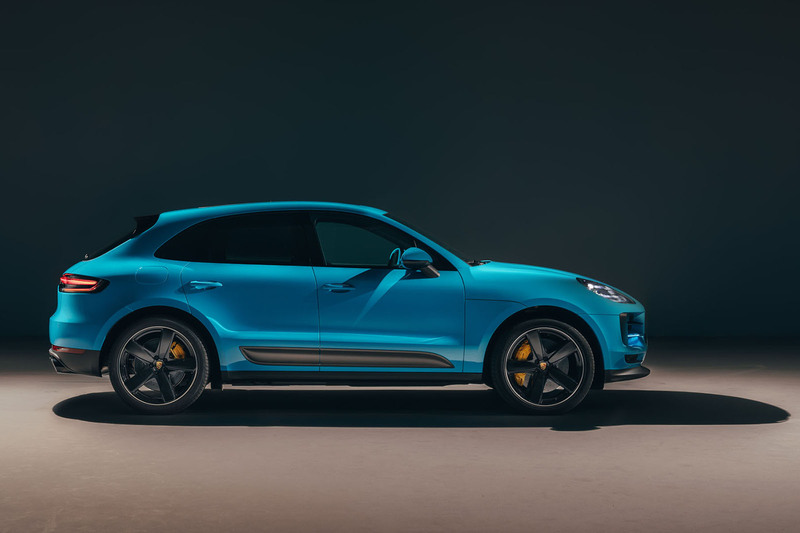 As in the Cayenne, the existing turbocharged 3.6-litre V6 used in the Macan S, Macan GTS and Macan Turbo will be replaced by two different V6 engines developed in an engineering partnership between Porsche and Audi. The Macan S appears likely to receive a turbocharged 3.0-litre V6 with the same 335bhp as today’s turbocharged 3.6-litre V6. The same unit is set to feature in the Macan GTS with 20bhp more than the current turbocharged 3.6-litre V6, at 375bhp, according to well-placed sources. At the top of the line-up, the Macan Turbo is planned to adopt a turbocharged 2.9-litre V6. Insiders suggest the new unit will develop around 20bhp more than the existing turbocharged 3.6-litre V6, at 414bhp, with an upcoming Macan Turbo S likely to produce around 454bhp. As with original Macan models, all engines will be mated to a seven-speed dual-clutch automatic gearbox with steering wheel-mounted shift paddles, as well as a multi-plate-clutch four-wheel drive system. 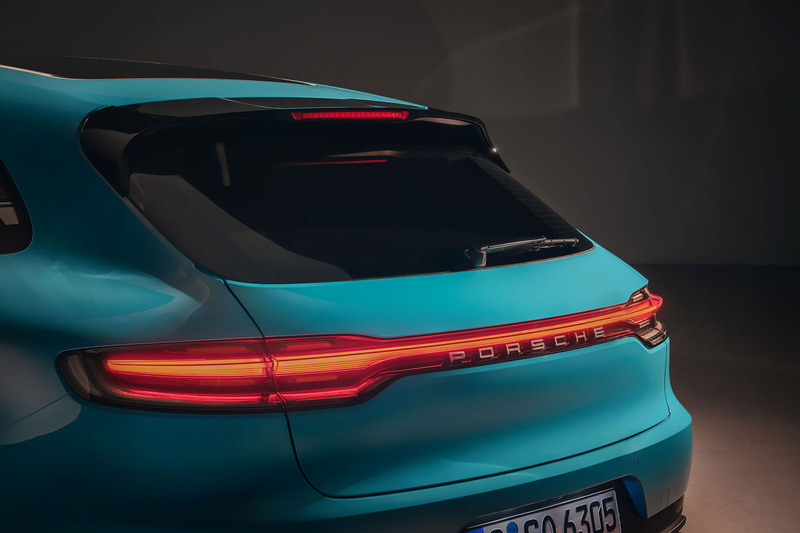 The Macan is not expected to offer a hybrid drivetrain owing to restrictions in the basic engineering of its platform, which is shared with the previous-generation Audi Q5, prohibiting the housing of a sufficiently sized battery. Porsche says the Macan’s driving dynamics have been further improved with the facelifted model, suggesting that fine-tuning of the chassis has brought “enhanced neutrality while maintaining stability and improving comfort”. Nah. I didn't know him. Better than the vomit inducing rear of the F Pace. Google it. Looks like Porsche designers did it too. They ruined the rear. I also like the excuse that a hybrid won't be available because the platform wasn't designed to house it, when the previous Q5 was, in fact, available as a hybrid. Yes to knobs and dials for the heater NO to this world record attempt at number of buttons in one car. Oh and the 4 foot long distracting rear tail light just looks plain daft! Still looks like a frog, i'm out. Much rather this than the F-pace. Doesn't look much different, but least it doesn't have that god awful rear of the Jag.